If you're reading this without a Nintendo Switch in arm's reach, you may have endured the past seven weeks thinking you're in the minority. As far as sales projections are concerned, you are: Nintendo's struggling to keep up with demand, and has already sold 2.74 million units of the console. Recent follow-up reports confirm the Switch as the fastest-selling Nintendo console in US history, challenging the legacy of the Wii right out the gate. This launch performance be described as staggering for a system far-flung from the holiday season and with only four months of pre-release marketing and promotion behind it. Between the remarkably short period from the Switch reveal in October last year to its release this month, many questions and curiosities haven't had the chance to surface. Nintendo's newest console presents a number of shifts to the company's recent rapport, and by proxy that of the whole industry. 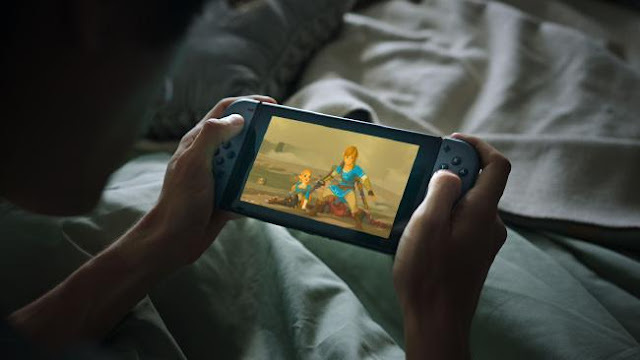 A new brand is introduced in the Switch, aligning itself as the median between pop thumbstick-and-trigger gaming and Nintendo's idiosyncratic pitches; cross-device gaming has arrived from the niche entrepreneurship of the mobile industry to the forefront of the console industry; the orthodox division between handhelds and home consoles no longer stands resolute. Not content to let these talking points meander towards the coast, we reached out to four industry analysts for their own thoughts on the console to date: David Cole of DFC Intelligence, Piers Harding-Rolls of IHS Markit, Michael Pachter of Wedbush Securities and Brian Blau of Gartner. A spread of topics cropped up in discussion, notably touching on the significance of the Switch design for the games industry, divergences from Nintendo's previous ventures, and newfound concerns in competition. Curious? Read on. My Kingdom For A Hybrid! For all the attention it has been getting, the Switch isn't the first hybrid game system to reach the market that mixes TV home gaming and portability. As Harding-Rolls noted in his post-presentation commentary (published on 13th January) for IHS Markit, the integration of home devices and portables has been a longstanding vision of mobile innovators. “A hybrid device strategy such as [that which the Switch relates] is unproven in the market—previous gaming tablets that can dock to TVs have found very little sales traction but significantly have not had the backing of a company such as Nintendo,” he wrote. Paired with an Nvidia-powered PC, the Shield could stream titles from a range of almost 2,000 games via Steam, notably demonstrating its valour with the then-fresh Assassin's Creed III, Hawken and Need for Speed: Most Wanted. On the go, users could enjoy the most hardware-intensive Android games, including exclusives from the proprietary TegraZone digital store. The device further boasted up to 4K video streaming over HDMI for players to accomplish their peak living room setup. Though their inspirations prove similar, the Shield ultimately didn't embody the outlook of the Switch: where Steam access was concerned, it took no initiative beyond forming a wireless receiver and controller tethered to a home unit. Venture out the front door and you were left with what amounted to a pair of analogue sticks to browse Google Play. A closer forerunner to the Switch can be found in the lesser-known Snakebyte Vyper (formerly branded the unu from Sunflex), which similarly made its debut at CES 2013. Owed to the minds at Snakebyte, the Vyper was an Android tablet doubly marketed as a TV accessory, packaged with a TV docking station, an "air mouse" and—if you spent $50 USD more on the Gaming Edition—a standard Bluetooth gamepad. While docked, the tablet could transform your regular TV into a smart TV, giving you access to apps on the big screen—and most relevantly, allowing you to play your Android games in the regular home fashion. Quite a few brands have introduced TV docks for their tablets somewhere into their lifespans, but the Vyper stands out for being so designed around this function. Whether Nintendo was avidly spectating these developments, particularly so shortly after the release of the Wii U, is something we could only ever speculate on. 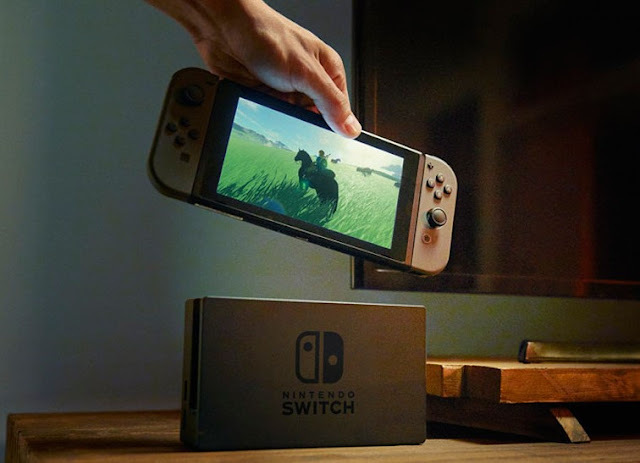 What is clear though, is that the Switch doesn't express a singular stroke of inspiration; it embodies a tentative breakthrough in the conception and marketing of the nebulous "hybrid device." And being a Nintendo platform, it'd be hard-pressed to fall by the wayside. Preceding the Switch reveal, two things hinted towards a new brand at the door. The first was the prevailing rumour that Nintendo had the industry's first hybrid games console to its name, a design too momentous to be branded a sequel. The second was the failure now reminiscent with the Wii U in distinguishing itself from its predecessor, to the people most owed for the latter's success. Despite its marketing thrust as a hybrid, debate swiftly rose as to whether to view the Switch as a home console or handheld; this insistence towards the binary came down to determining which of the existing Nintendo brands was vulnerable. 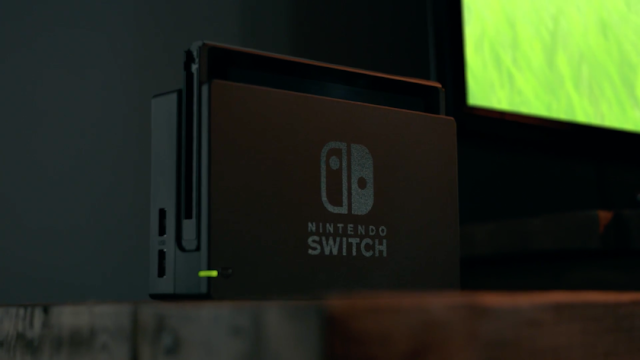 When asked by reporters at Polygon whether the Switch would impact the longevity of the 3DS portable systems, Nintendo promptly asserted that “Nintendo Switch is a home gaming system first and foremost.” It's a given that the console barely rivals the PlayStation 4 or Xbox One in terms of power, hence these words held the most significance in implying that Switch would be replacing Wii as Nintendo's home gaming brand. A mere three weeks after the Switch was unveiled, the announcement came that Wii U production would soon be ending; by the end of January, production was confirmed to have ended globally. A more open talking point is the current merit of the 3DS range, aside from the near 30-year-old convention of producing both portable and home systems.